This year ushers in an exciting anniversary for one of the hottest and most influential female choreographers on the international dance scene. The multi-talented Helen Pickett will celebrate 10 years of choreographic commissions when she returns in April to stage work at Mikko Nissinen’s Boston Ballet, which offered Pickett her first choreographic commission in 2005. For Pickett, the last 10 years have been filled with one exciting commission after another. 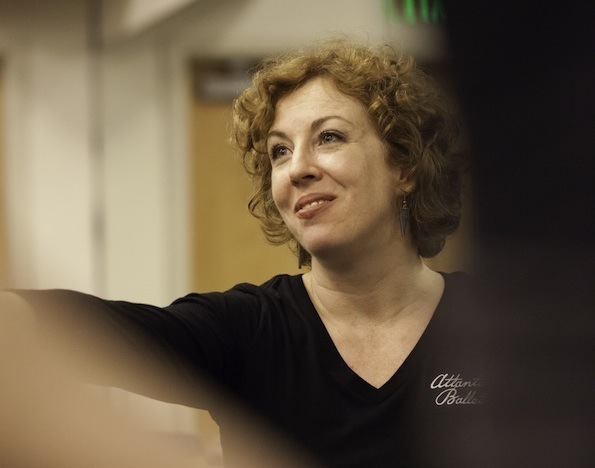 She has set choreography on and collaborated with companies across the country like Louisville Ballet, The Washington Ballet, Aspen Santa Fe Ballet, Ballet X, Dance Theatre of Harlem, Smuin Ballet and Oregon Ballet Theatre. 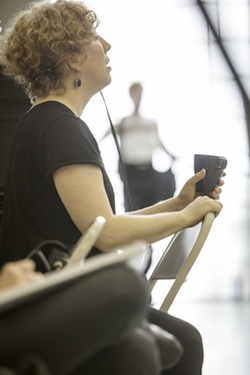 She has also worked abroad with Norway’s Kunsthogskolen, the Royal Ballet of Flanders, Dresden’s Semper Oper, Vienna State Opera and most recently, the Scottish Ballet, where Director Christopher Hampson invited her to premiere her own production of The Crucible in September 2014. Yet, 2015 might be her best and most exciting year yet, bringing forth a new lineup of premieres and firsts. For one, she will begin work on Les Troyens, her first opera on schedule to premiere at the Chicago Lyric Opera in 2016. This spring, within a two-week period, her newest work for Ballet West, GAMES, will premiere at The Joyce in New York and her new full-length ballet Camino Real (based on the play by Tennessee Williams) will be premiered at Atlanta Ballet, the company where she has been Resident Choreographer since 2012. Helen Pickett in ‘Camino Real’ rehearsal. Photo by Charlie McCullers. In addition to these exciting events, Pickett will also be teaching and acting. She will offer another one of her Choreographic Essentials Workshops through Atlanta Ballet (in partnership with Kennesaw State University) in June. Plus, she will return to Dresden in late May and/or June to perform the speaking role of Agnes in the revival of William Forsythe’s Impressing the Czar. Dance Informa recently got to sit in on a rehearsal for Pickett’s new Camino Real at Atlanta Ballet. As if it wasn’t already clear through her work thus far, this choreographer is not scared to take risks and has long ago embraced her own voice and unique background. While she was once called a “protégé” of William Forsythe, who she danced with for over a decade in Ballett Frankfurt, and dubbed “one to watch”, Pickett has long since been her own woman known for her bravery and unique storytelling. Sitting down with her before and after her rehearsal, Pickett shared what her choreographic process is like, starting with where her movement ebbs from. Pickett’s parents, who were both actors, raised her with a love for the written word. She admitted, “From the time I was a tiny baby, I heard stories by Rudyard Kipling and excerpts from Shakespeare.” In addition, her mother wrote a children’s book called Calvin Crocodile and the Terrible Noise. Her interest in stories and characters was established early and her parents taught her to anchor herself into “those beauties of what makes a human different from an animal.” From there, it’s easy to see why she gravitates toward acting and the spoken word, which has led her to take on modern narrative ballets as a choreographer. Her dance training started at age eight in her home state of California. She studied at The San Francisco Ballet School under the direction of Lew Christensen, Michael Smuin and Helgi Tomasson, before dancing and acting in Europe. 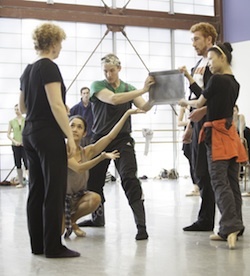 Helen Pickett, left, directs Atlanta Ballet dancers in ‘Camino Real’ rehearsal. Photo by Charlie McCullers. “Classical ballet had a huge influence on me, from San Francisco Ballet and all my teachers and directors I worked under as a student – Smuin and Lew Christenson were huge storytellers – to Helgi and learning more of the Balanchine method and how line can tell a story, to going to Forsythe and having the idea that physicality tells a story, to the Wooster Group,” she reflected. With all of these influences, as well as her personal passions, Pickett embarked on her choreographic career with special interests in pointe work, new experimentation, narrative, spoken word and collaboration. She makes it a point to never limit herself though. “I don’t like to be wedded to a particular style,” she admits. While some of her strategies have remained the same over the last decade, some have changed. One major adjustment has been in how she approaches a new commission. Her main inspiration for choreography has remained the same though. “I’m interested in humanity. I’m interested in communication and breaking the fourth wall. I say it in every interview, but that really seems to be one of my overriding themes and something I’m really interested in,” she said. When speaking to the creative process, she explains how important it is for dancers and choreographers to have three things: structure, intention and collaboration. In her Choreographic Essentials Workshops, she teaches these three strategies. Helen Pickett’s ‘Prayer of Touch’ being performed in New Choreographic Voices by Atlanta Ballet in May 2012. Photo by Charlie McCullers. On the first, she explains the importance of having a good classical and historical training so that you have the basic structure to work from – like a skeleton holding a body together. “It’s my belief that artists can only riff once they have known structure before. For example, I’m well versed in ballet technique, so I am able to riff on that style. Likewise, if these dancers see a structure for creating work then they can riff on it and find their own voice,” she said. On intention, Pickett notes that preparation is everything. While she might not set work for a new commission before she arrives at the studio, she noted “that doesn’t mean I haven’t done a junk load of prep before.” For character roles, dancers and choreographers must do their research. All dancers should journal. Artists should constantly be going to experience others’ work. When it comes to collaboration, Pickett digs in. She said this is supremely important to her and noted “the whole idea of collaboration is rooted in the idea of possibility.” She tries to push this in her workshops alongside “First Choice, Best Choice” (the method where you respond immediately to a prompt with whatever first comes to mind) and Forsythe Improvisation Technologies. She asks dancers to use these tools to investigate new ideas with one another. In Camino Real, Pickett has employed many of these methods. Since it’s a narrative, she has really focused on the intention of each movement and how to convey the story. She admits that she keeps coming back to the text, pulling out her copy of the script for emphasis and showing all the tabs and dog-eared pages. “It’s existential and surreal. I kept wondering, ‘How do I anchor this? How do I tell this story?’” she said. Atlanta Ballet premieres Helen Pickett’s ‘The Exiled’ for MAYhem in 2014. Photo by Kim Kenney. One challenge in this particular work has been the characters, some of which are pulled from other stories and are known as historical figures, like Casanova and Kilroy. It has required much more research. While some dancemakers might approach their 10-year choreographic anniversary with some preselected repertoire highlights or something less chancy and more widely known, Pickett dares to experiment with a story new to ballet. And to its credit, Atlanta Ballet embraces this spirit of innovation. Kelly Apter of The Scotsman recently wrote, “The dance world needs more Helen Picketts.” I don’t think you’d find anyone in the dance field that would disagree. To keep up with Helen Pickett and her many projects, go to www.helenpickett.com. Her new work for Atlanta Ballet will premiere Friday, March 20 and run through Sunday, March 22. It will feature music and sound by Peter Salem, which will be performed live by the Atlanta Ballet Orchestra. Photo (top): Helen Pickett in rehearsal at Atlanta Ballet for her 2014 work The Exiled. Photo by Charlie McCullers.